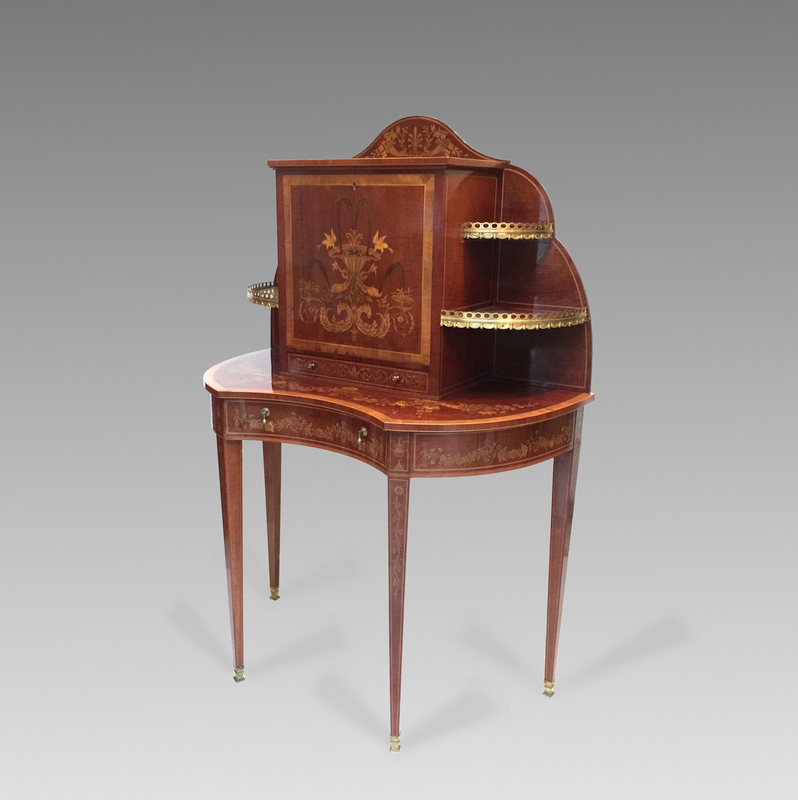 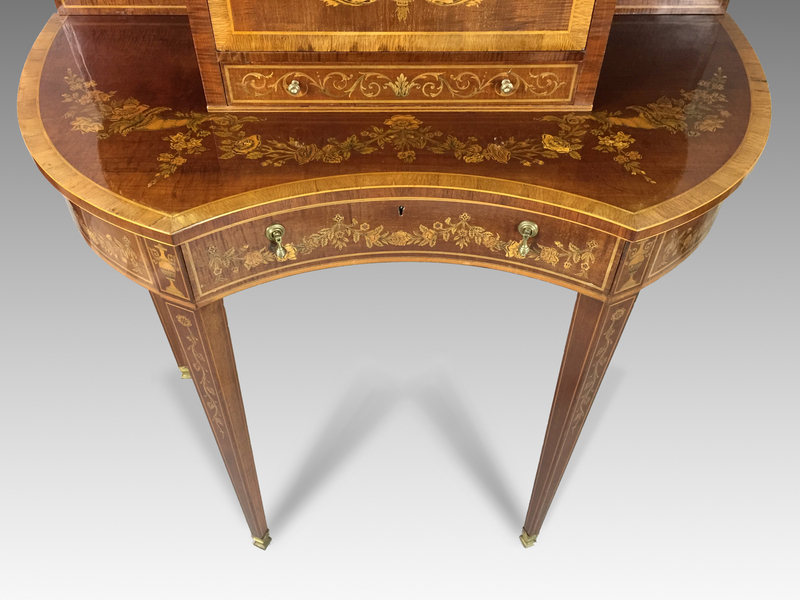 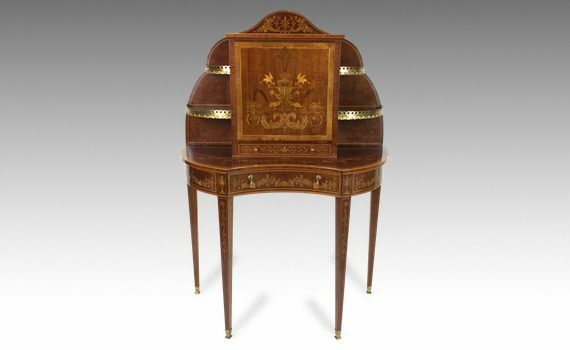 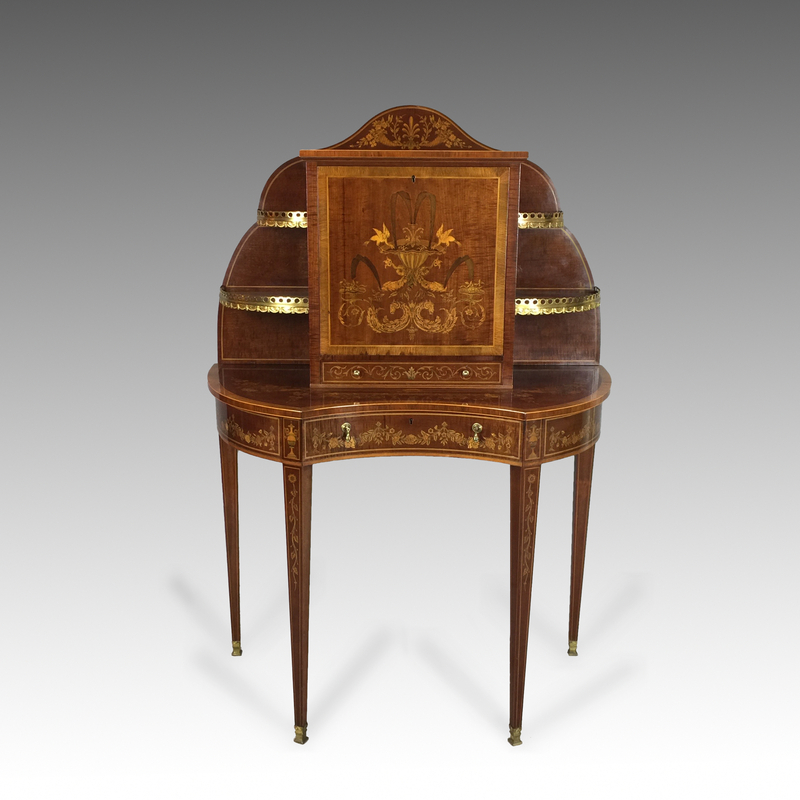 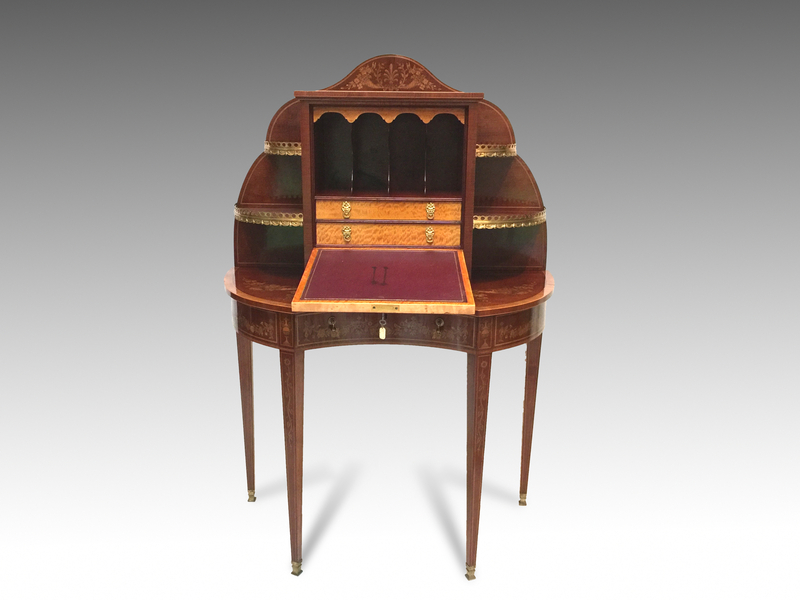 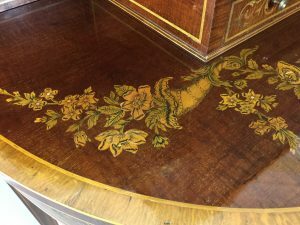 A late 19th century, Sheraton revival, fiddleback mahogany & marquetry inlaid Bonheur du jour. 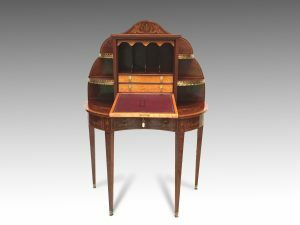 The upper section having a shaped gallery with quadrant galleried shelves flanking a central fall front panel inlaid with fountain scene, opening to reveal a leather lined writing surface and fitted interior with satinwood veneered small drawers. 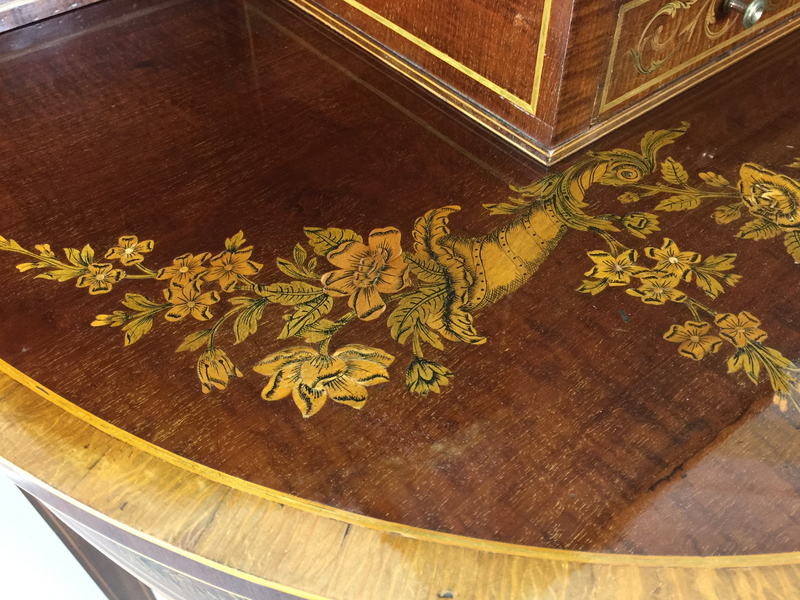 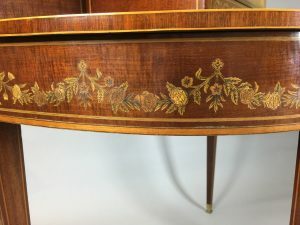 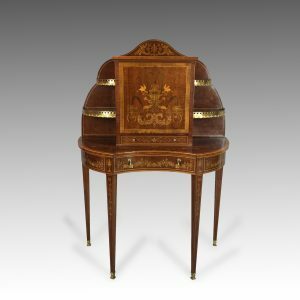 The bow shaped base with concave central drawer and frieze inlaid with floral swags, standing on four square section tapering legs ending in cast ormolu sabots.